As an agile parent, you will always ensure your toddler eats healthy and well. But sometimes, in the course of things, you may forget to check if your toddler’s weight falls within a healthy range. Although you may not notice it, your toddler can be in the overweight category without actually appearing fat. Eating habits develop during the formative years, and research suggests that overweight or obese toddlers may continue being the same as they move into early childhood too. This is why it is always necessary to know your toddler’s BMI percentile. A BMI percentile calculation is as important as any other health test. In fact, it would even serve as useful information for most other health examinations in the future too. 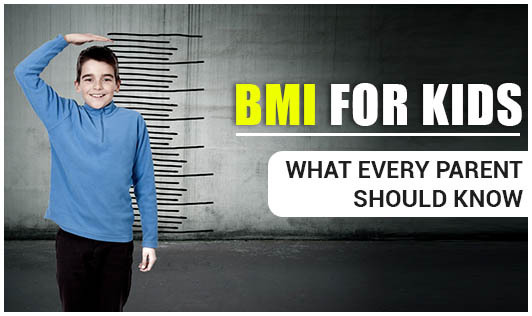 Your doctor is the one who can assess your child’s weight using their BMI. This is done by measuring their height and weight and then finding their BMI percentile on a growth chart. This chart compares your child's BMI to that of other children in the same age and gender group. So, if your daughter is in the 75th percentile, it means that her BMI is higher than 75% of the girls in that age group, and lower than 25% of them. The BMI percentile and growth chart are used as screening tools. Children grow at different rates so your doctor may need to do other tests to confirm whether or not your child is overweight or obese. If you think your toddler may be overweight, talk to your doctor and nutritionist. Together you can review their growth charts and talk about proper nutrition and exercise to get their weight back on track.